School Logos – Things to consider for school logos. A school logo is designed to enhance the credibility of an educational establishment and to get the attention of the potential students or their parents. Logo represents an institute which conveys the message that the school is trying to deliver. 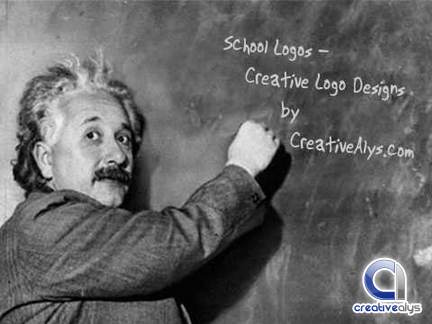 Good memorable school logos can build a respectable image which is very important for an educational institute. Bold, legible and simple fonts enhance the look of a school logo. It makes it easier for the parents to remember the logo and hence the school which can bring very good results. Probably the most important aspect of a school logo is the relevant image which conveys the right kind of message. Images of books, teachers, students, buildings are some of the appropriate choices for a school logo. When it comes to colors the primary focus should be to persuade children and not parents hence those kinds of colors can be used. Bright and Vibrant colors are best to get the attention of potential students. Above are some of the very important points that should be kept in mind when designing a school logo, nothing should be taken for granted and taken as unimportant and not paid attention to. Attention to detail is the key here.